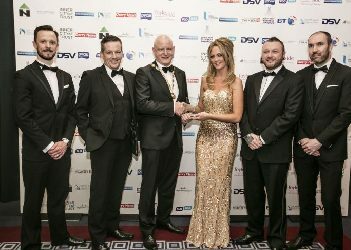 TerraMar Networks received the “Highly Commended” accolade at the NW Business Awards in the “Growth through Export” category, in recognition of the company’s success in broadening its international activities over recent years. TerraMar is a leading provider of GPS tracking and fleet management solutions to organisations in a range of sectors, including mining, haulage, commercial maritime, offshore oil and gas, and humanitarian aid. The company is committed to its long-standing markets in the Republic of Ireland, UK and USA and supports some of the most recognisable fleets on the road, but, since 2011, the firm has also looked for new export markets, particularly the International Aid & Development sector. This strategy bore fruit in 2011, when TerraMar won a tender to provide its solutions to high profile international charity Oxfam across 40 countries. The company went on to sign a partnership agreement with Toyota Gibraltar Stockholdings, the leading provider of ex-stock vehicles to the Aid sector. TerraMar also offers a real time feed of all commercial shipping traffic worldwide – 165,000 vessels and 12 million updates per day – which is used by analysts, traders and fleet operators across the world to keep tabs on global trade flows.